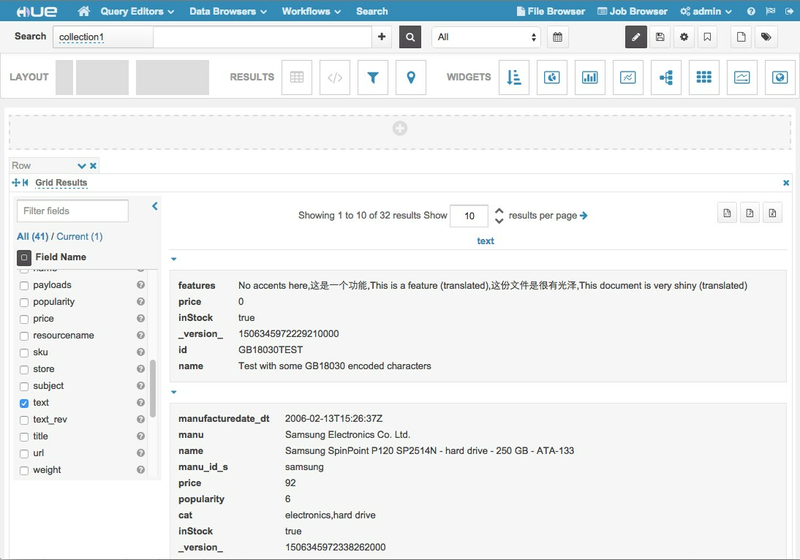 Cloudera Search includes a Hue application that provides a customizable UI. Using Hue with Cloudera Search involves importing collections. After you import collections, you can work with them through the Hue user interface. You can use the Hue Web UI to run search queries. For example, for the server search01.example.com, use: http://search01.example.com:8889/hue/indexer/new_search. The following figure shows the Search application integrated with the Hue user interface.